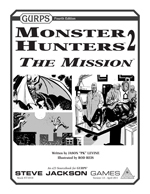 Check out the full GURPS Monster Hunters line for more supernatural-slaying supplements! For action-movie rules and resolutions, slide across the marble floor with two guns a-blazing and check out Action 2: Exploits. For advice and insight on running a more terrifying campaign, visit GURPS Horror . . . if you dare. For more fantasy-themed monsters (which can provide a different flavor of long-forgotten threat for Monster Hunters), see GURPS Dungeon Fantasy Monsters 1. 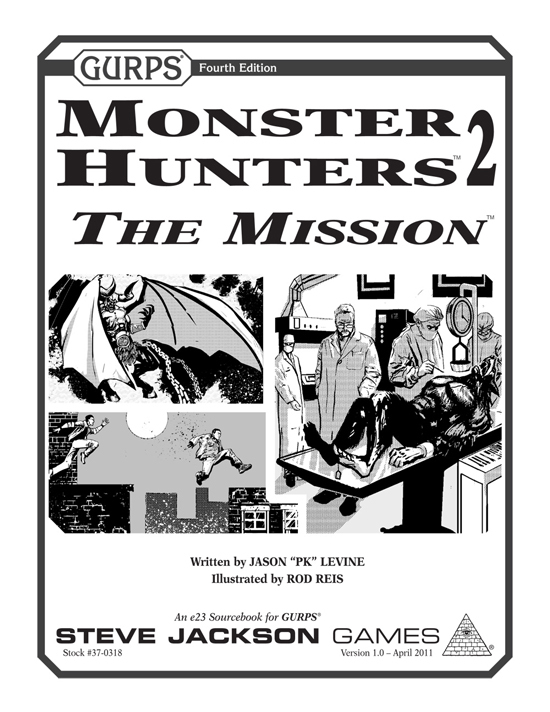 For a collection of pulp templates for Monster Hunters – plus an adventure, a recommended-reading bibliography, and more – see Pyramid #3/31: Monster Hunters. More inhuman character-creation options – plus information on the fae as a terrifying threat – can be found in Pyramid #3/45: Monsters.